One Sunday not too long ago, I was in a downright grumpy mood. Thomas and Lillian had joined in on the grumpiness. The tension and angst in the air was as thick as mud. I completely disconnected from being mindful or even attempting to connect with this emotion. I ultimately decided to excuse myself and go for a much needed walk to connect with this grumpiness so as to release it. As I walked around the lake, my eyes kept catching glimpses of something – over and over again. It’s like I was going to keep seeing it until I truly noticed and the sight of it brought a smile to my face. It not only brought a smile to my face; I laughed out loud. And, had to take pictures! What broke the grip of this grumpiness? Ducks and Their Bottoms. That’s right. Duck bottoms. 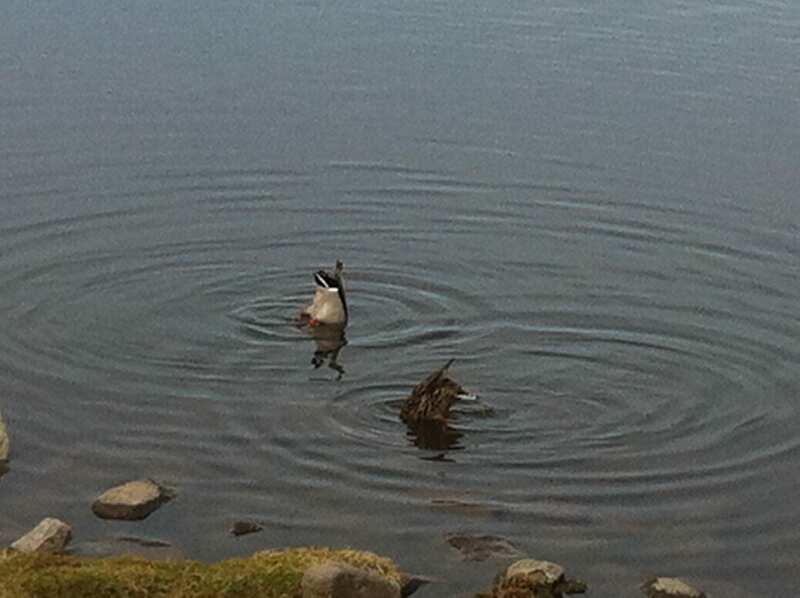 As I passed by ducks in the water, I kept thinking, something doesn’t look right. As I got closer I saw that the ducks had their head under the water. When a duck’s head is under water, their back end pops up. All you see is duck feet and duck bottom bobbing along! I had noticed this in past walks, yet it didn’t move me like it did this time. Plus, it seemed like every single duck I passed had their head under water with their bottom just bopping along! The picture is blurry as I had to zoom to get close enough. Yet, I think you get the idea. By the time I walked in the door, I felt I had mostly shed whatever was causing the grumpiness. I entered with a much more joyful and peaceful heart ready to NOT bite any drama hooks dangled in front of me. When you know you’ve dug your heels in, you’ve bit into the grumpy (insert whatever negative emotion here) hook and are not going to let go easily; change your scenery, change the environment. For me, that’s going for walk and being with nature. Being in nature may not have the same effect on you as it does with me. Find the sweet spot that helps you release the grip on that hook. This is not to say that we push the negativity away. We still attempt to connect with how it feels so as to release it fully. Yet, sometimes this cannot be done in the moment or in the “space” we are within. This post is dedicated to Mother Nature, her beauty, her love, and her helpers!! 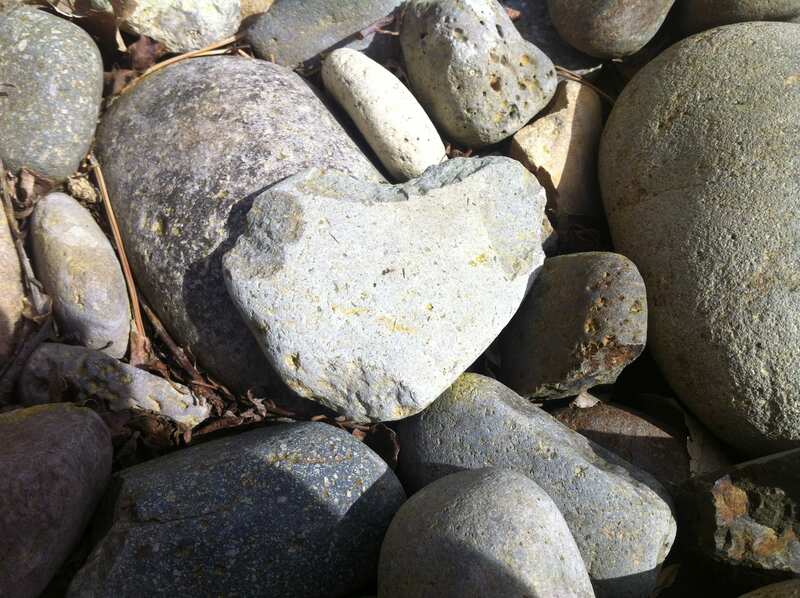 The picture of the stone honoring Mother Nature was taken at Rancho San Rafael Park and The Wilbur May Arboretum. 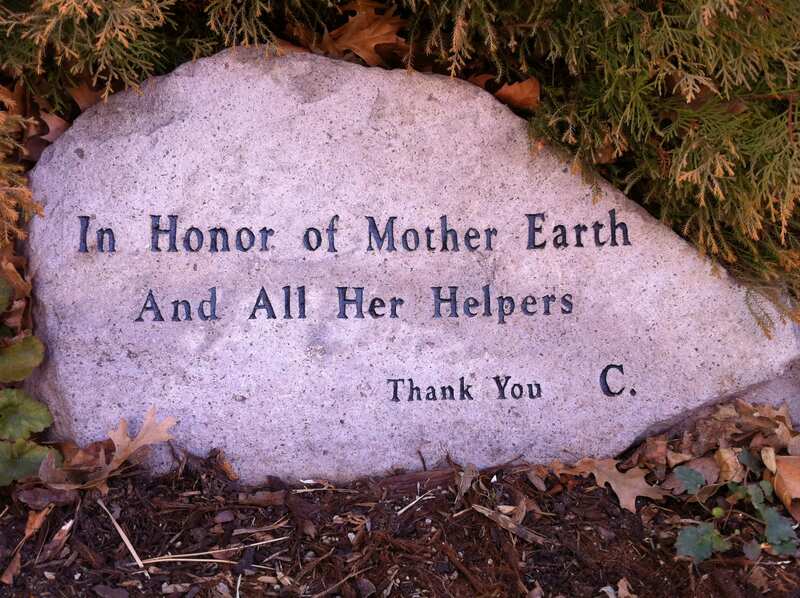 Isn’t it interesting that it was donated and dedicated by someone with the initial “C”? And, it’s perfect for this post!